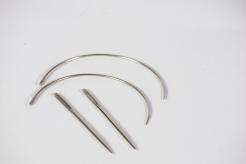 I have changed suppliers and now I am selling John James needles. The name probasbly doesn't mean anything to you but they a very old needle maker in England. These are much better needles and at the same price!